During the last twenty years sugar consumption in the UK has rocketed by more than 30 percent to an incredible 1.25 pounds per person, per week. That’s because it’s not only the usual culprits (such as confectionary, biscuits, puddings and cakes) that contain sugar these days, but also the majority of an increasingly available range of processed foods, including sauces, soups, bread, meat, salad dressings and soft drinks. Indeed manufacturers are progressively using sugar to extend their product’s shelf life or to add cheap bulk, which means that many of us are consuming more and more sugar without even realising it. So, what’s the problem you might well ask? Well, refined sugar is made ​​from sugar beet or sugar cane that has been chemically bleached and had all of its valuable nutrients removed, making it difficult for our bodies to properly digest. Artificial sweeteners, such as aspartame, which only increase our sugar cravings and have been linked to cancer and other health problems, are not a sensible solution. 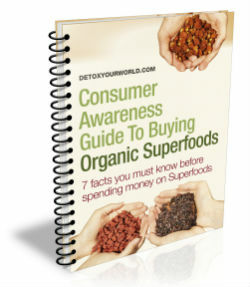 Yet, there is a healthy alternative – natural superfood sweeteners, such as organic lucuma powder. But, before we explore the myriad merits of organic lucuma powder, let’s first take a more detailed look at why we should try to reduce our refined sugar and artificial sweetener intake in the first place. Robert Lustig, professor of clinical paediatrics at the University of California, published an article in February 2012, which underlined the toxic effects of sugar and argued that our increase in sugar consumption is partly to blame for the rise in non-communicable diseases (NCDs), including cardiovascular disease, cancer, diabetes and metabolic syndrome. And the United Nations estimates that these so-called NCDs are now responsible for some 63 percent of global deaths. Artificial sweeteners like aspartame are also linked to a large number of dangerous conditions and side effects, such as cancer, diabetes, psychological disorders, birth defects, vision problems, brain damage and seizures. In her book, ‘The Doctor’s Complete Guide to Vitamins and Minerals’, Dr. Mary D. Eades claims that aspartame is the trigger for migraines in around 10 percent of patients, whilst a University of Florida study by Jean Carper suggests that aspartame actually increased migraine frequency and intensity in more than 50 percent of migraine patients. Research indicates that aspartame can also cause spikes in insulin levels, forcing the body to remove glucose from our blood stream and store it as fat. It also inhibits the production of serotonin and prevents our brain from signalling that we are full, leading to food cravings and weight gain. So, it’s abundantly clear that too much refined sugar and artificial sweeteners are bad for our health, but what makes organic lucuma powder such a wholesome substitute? Unlike refined sugar, organic lucuma powder is a 100 percent natural superfood sweetener made from the Peruvian lucuma fruit. The lucuma grows on the lucuma tree (Pouteria Lucuma) – a subtropical tree native to the Andes region of Peru that thrives at altitudes of between 4,500 – 10,000 feet and can live for up to five hundred years of age, whilst still remaining productive. Cultivated since 200 AD, the lucuma fruit was greatly prized by the Incas as both a valuable source of sugar and a powerful symbol of fertility, which is why lucuma is often referred to as “Inca’s Gold”. Organic lucuma powder is dried at low temperatures and processed to an absolute minimum, leaving it rich in the type of beneficial nutrients that are so lacking in table sugar and artificial sweeteners, including fibre, vitamins (such as B1, B2, B3 and B5), minerals (iron, potassium, calcium and phosphorous) and immune-boosting antioxidants. And, as it boasts an extremely low glycaemic value of just 25, organic lucuma powder is a particularly suitable sugar replacement for diabetics, as well as all those wishing to reduce their refined sugar intake. Unsurprisingly, there has been a significant amount of hype about this superfood sweetener of late and it certainly seems warranted. Below we examine just three of the many rewards that can be enjoyed by adding organic lucuma powder to your existing diet. Anti-inflammatory organic lucuma powder is rich in beta-carotene, a natural pigment and antioxidant that can help to rejuvenate the body and demonstrably improve our vision. In addition, beta-carotene helps to promote the repair and restoration of damaged skin cells and can protect our skin from the harmful effects of UV rays and free radicals, leaving it looking visibly younger and free from unwanted fine lines and wrinkles. A recent study by the State University of New Jersey clearly demonstrated the anti-inflammatory effect of lucuma extract on wound healing and skin aging. Their study revealed that lucuma significantly increased wound closure and encouraged tissue regeneration. 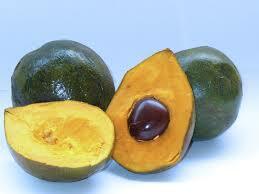 The report concluded that lucuma could have anti-inflammatory, anti-aging and skin-repair effects on human skin. Organic lucuma powder is extremely high in iron – an essential mineral that performs several important roles within our body. One of these is to help manufacture haemoglobin, a key component of red blood cells, which is critical for the effective distribution of oxygen around our body and ultimately to our cells. Increasing our iron intake thus actively boosts our energy levels and significantly reduces symptoms of fatigue. Organic lucuma powder also contains a generous quantity of niacin (also known as vitamin B3), which helps to produce energy from the foods that we eat. Niacin can normally only be found in meat, making organic lucuma powder an excellent source of niacin for both vegetarians and vegans. Most of us don’t receive sufficient fibre from our diet – organic lucuma powder is a superb source of dietary fibre, which can help to prevent heart disease, diabetes, weight gain and even certain types of cancer. It is also known to greatly improve our digestive health. The large amounts of niacin that are contained in organic lucuma powder can also help to keep our nervous and digestive systems in tip-top condition. Of course one of the best things about organic lucuma powder is its wonderfully sweet fruity flavour (that is often likened to maple syrup) and it’s rich, creamy texture, which can be enjoyed without causing the sharp spike in blood sugar levels linked to refined sugars and artificial sweeteners. Organic lucuma powder is delicious stirred directly into your favourite smoothies, shakes, juices and protein drinks, makes an ideal sugar substitute in a tempting range of rawfood recipes, including raw chocolate, cakes and ice creams, and can even be used to sweeten baby foods and snacks. Alternatively you can enjoy your organic lucuma powder sprinkled generously over breakfast cereals and desserts. ← Enjoy organic chlorella powder, enjoy five superb health benefits!